One set of alternatives consists of the utilization of ideal Islamic financial instruments, such as musharaka, mudaraba, etc., which have the ability to change totally the system of interest-based economy, to curb the evils originating from it and to bring about a just and equitable system of distribution. But since the successful operation of these ideal Islamic instruments requires drastic changes in the overall economic framework, which is beyond the control of individual Islamic banks, the latter cannot, for the time being, restrict their activities to these ideal alternatives only. Keeping this in view, the Shari’ah Boards have, at the same time, suggested another set of alternative financial instruments, such as murabaha and ijara (leasing), etc., which are by no means ideal solutions, but, is designed to fulfil some Shari’ah requirements, can be adopted as a transitory measure. Firstly, they are unrealistic because these instruments, despite their apparent resemblance to interest-bearing modes of finance, have certain major distinctive features as compared to them. For example, the modes of murabaha or ijara (leasing) financings, if applied in strict conformity with Shari’ah requirements, have some element of risk for the financier, which, according to the Shari’ah, is the basic condition for making a valid profit. Interest, on the other hand, has no element of risk. Hence, it is not permissible under the Shari’ah. Secondly, it should not be overlooked that in an atmosphere where the interest-based system governs the field of finance, it would be unrealistic to expect that the present system could be switched overnight to an ideal Islamic system. The move towards interest-free banking will have to pass through a transitory period in which some temporary devices may be necessary to escape from the purely interest-bearing modes of finance. These devices should not be rejected or condemned for their not being the ideal alternatives to interest, because, having several distinguishing features, they can free banking transactions from at least the clearly prohibited elements of riba, qimar (gambling) etc. Therefore, this achievement should not be undervalued in the present circumstances. But two important points must be kept in mind. First, the devices of murabaha or ijara cannot be justified unless their essential ingredients, as enunciated by the Shari’ah, are fully observed. It should not be merely a matter of change of nomenclature. For example, murabaha is the sale of some commodity on an agreed ratio of profit added to the cost. So there should be a commodity purchased by the bank then sold to the customer after obtaining ownership and possession. The possession of goods need not be physical in the strict sense. A constructive possession which passes on the benefits, risks and liabilities of the commodity to the buyer may thus be sufficient. But there should be a gap between purchasing the commodity and selling it to the customer, and the risk of owning the commodity during this period should be borne with all its basic components and all its essential consequences. Secondly, it should never escape attention that these devices have been adopted only for a transitory period. They are neither the ideal Islamic modes of finance not the ultimate goal to be achieved by the Islamic banks. The banks are under an obligation to advance towards the ideal Islamic modes of finance through musharaka and mudaraba and to minimise the transitory devices through a gradual process. The Shari’ah Boards of the Islamic banks are constituted to supervise the activities of the Islamic banks from these two angles. In order to ensure that the transactions effected by the Islamic banks conform to the rules of the Shari’ah, the Shari’ah Boards of several Islamic banks have drafted agreements for musharaka, mudaraba, murabaha, ijara (leasing), wakala (agency) and similar types of contracts. The management of the banks is bound to follow these Modal Agreements in each of their transactions. If some problem arises in applying these agreements and some amendments are needed, they are expected to bring the problems to the notice of the Shari’ah Boards and explain the practical difficulties they are facing. The Board, after obtaining the relevant information on the subject, will deliver its fatwa (decree) which the bank must obey to solve the problem. The Shari’ah Boards of Islamic banks have issued a large number of fatwas dealing with the current practical problems of Islamic banks. The fatwas of some Shari’ah Boards are available in printed form, while those of most of the others are available at the relevant Islamic banks. As mentioned in previous part, the questions placed before the Shari’ah Boards relate mostly to modern day-to-day problems which are not expressly mentioned in the original sources of Islamic Fiqh. To find their solutions need innovative thinking by Shari’ah scholars. In the light of the settled principles of the Shari’ah, it requires the exercise of some sort of ijtihad (independent judgement), in which the opinions of the scholars may differ. The members of the Boards, often specialising in different areas of Islamic learning and sometimes representing different countries, settle these differences through an open discussion and exchange of views. On important problems, thorough research is undertaken and detailed articles are written, resulting in valuable additions to the richness of the literature of Islamic Fiqh. After a careful examination of the relevant issues, resolutions are adopted either unanimously or by the majority. As the Shari’ah Boars of different Islamic banks consist of different scholars, sometimes resolutions issued by one Board may differ from resolutions of others. To resolve these differences, the International Association of Islamic Banks has established a higher Shari’ah Board. The Shari’ah Boards of Islamic banks are rendering a great service to the cause of interest-free banking. Without their effective guidance, Islamic banks will not be able to achieve the goal of Islamization of the banking system. 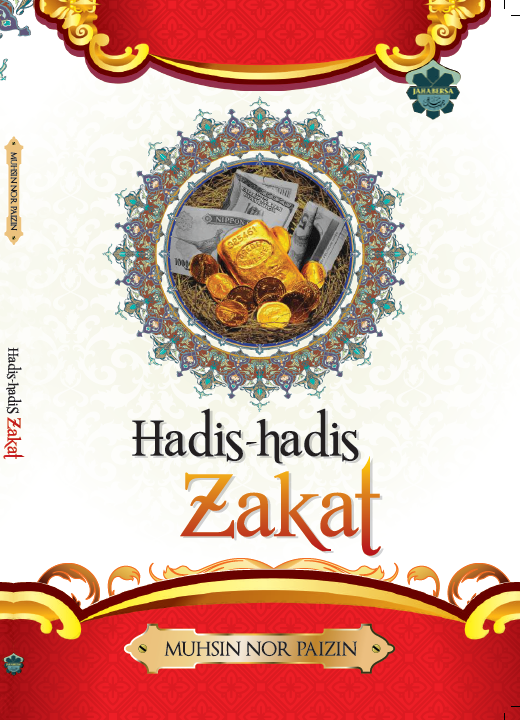 Free e-book Giveaway: Panduan Menunaikan Kewajipan Berzakat.